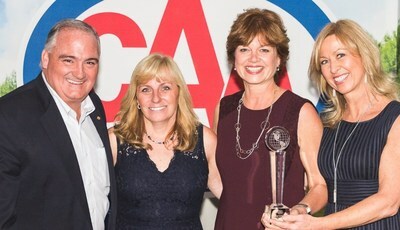 OTTAWA, Oct. 23, 2017 /CNW/ - AmaWaterways, Rocky Mountaineer and The Source are the winners of the 2017 CAA Partner of the Year awards, presented at CAA's annual travel and rewards conference in St. Andrews, New Brunswick. Offering unique vacation experiences to our Members, AmaWaterways and Rocky Mountaineer were recognized for their commitment to providing exemplary travel products and services, and their strong and trusted relationship with CAA travel agents. This is the second year in a row Rocky Mountaineer has received this coveted award. 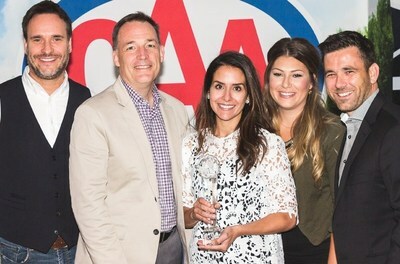 The Source was awarded for their outstanding service, the value they bring to CAA Members, and their exceptional work in building a strong relationship with CAA's Rewards team. Jeff Walker, CAA National Chief Strategy Officer, spoke highly of the winners. "The teams at AmaWaterways and Rocky Mountaineer continue to offer our Members extraordinary travel experiences and have remarkable customer satisfaction ratings. Their commitment to providing value and delivering world-class service has earned them this year's most prestigious CAA Travel Award. Our Rewards Partner of the Year has worked diligently to offer our Members value, which is just one of many reasons we are thrilled to honour The Source." The CAA awards have a rigorous selection process that includes surveys and evaluations from stakeholders across the association's travel and rewards teams. CAA preferred partners are ranked in five categories: marketing, service, product, technology, and sales and training. The awards were presented October 4th.